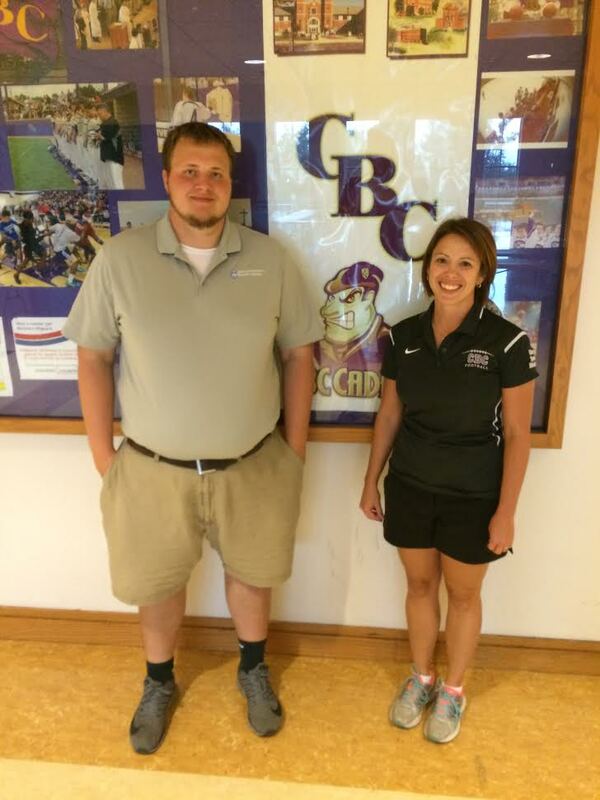 This year, I have been able enhance my athletic training clinical practice at Christian Brothers College (CBC) High School. At CBC, I have been with the football, soccer, and cross-country teams. My clinical knowledge has expanded due to the tutelage of my preceptor Athletic Trainer Kristen Jeans ATC from Mercy Sports Medicine. Kristen’s expertise in the field has helped me to improve my clinical judgement and ability to provide patient-centered care. In a typical day at CBC, I begin by helping Kristen evaluate injured athletes, assisting athletes with their rehabilitation programs, and applying preventative taping. Once our work in the athletic training room is complete, we prepare for the day’s practices and games. At the practices and games, I provide wound care and orthopedic evaluation to injured athletes. We also work to ensure player safety by monitoring the weather and keeping players hydrated. At the end of the day, we check on the athletes and inform the coaches about the injuries we have seen that day. I have really enjoyed working with the athletes, coaches, and administrators at Christian Brothers College High School. I have seen how providing health care at the high school level involves not only treating injuries, but also educating the high school students about the skills and services that athletic trainers provide. It has been exciting to meet a few students whom are interested in pursuing an athletic training education in college. I’m excited to continue my clinical growth at CBC over the coming year.